this was accomplished using a linksis router running the open sourced firmware called WWW-DRT. 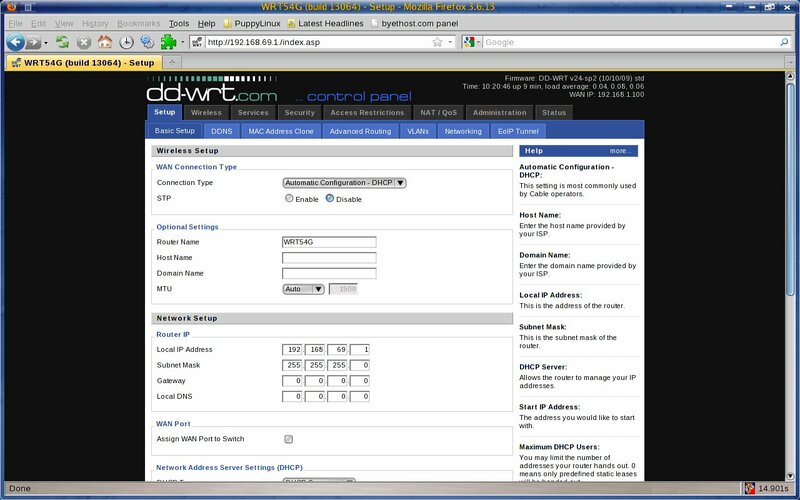 Other routers will also work, but not just any router..
Change "local IP address" to a unique subnet (different than device you wish to repeat), such as 192.168.69.1. * Uncheck all check boxes and set firewall to "disable". * Set Wireless Mode to "Repeater"
* Under "Wireless Physical Interface", set "Wireless Network Name (SSID)" to the network you wish to repeat. Set Network Configuration to "Bridged". * Click on "Add" under "Virtual Interfaces", and enter an SSID (such as "repeater"). 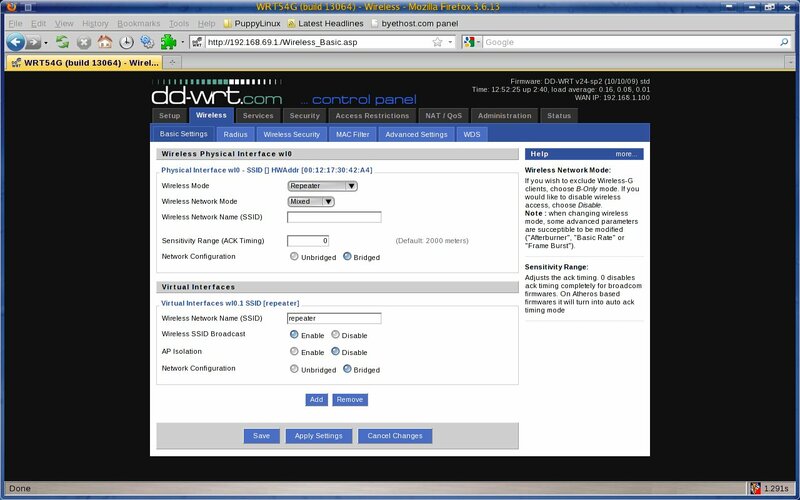 AP Isolation is "disabled" and Network Configuration is "Bridged". * Optional: Set Wireless Channel to "Auto" (or your preferred channel). * Go to tab "Administration", subtab "Command". * Click the Save Startup button. * Note: this will not automatically repeat secure/encrypted networks. If your source network uses WEP or WPA, enter the ssid under the Physical Interface in step 4 instead, and proceed to the next step. 6. 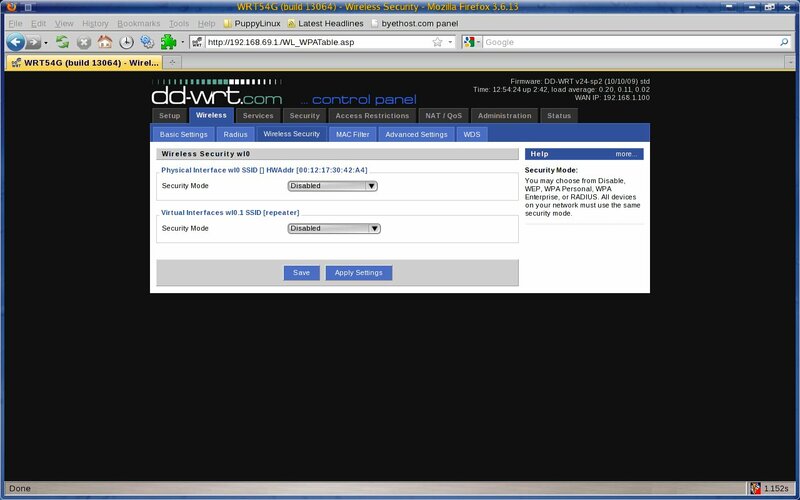 You may use security (WEP, WPA, etc) in repeater mode. An example application of this would be to make the repeated network private (for your use only). * Go to tab "Wireless", sub-tab "Wireless Security". 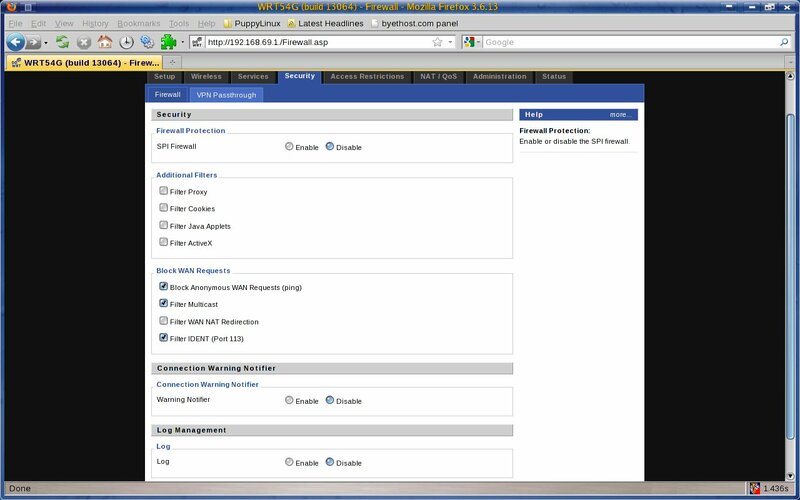 * Setup WEP (or other security) under virtual interface. * Configure your client/computer to use the same security. 10) If you wish to dynamically repeat the STRONGEST signal (a more sophisticated version of #5 above) please read the AutoAP Wiki Article. If you wish to dynamically repeat the STRONGEST signal (a more sophisticated version of #5 above) please read the AutoAP Wiki Article.